Did you know Gatlinburg-Pigeon Forge, Tennessee is one of the most popular family vacation destinations during the Thanksgiving holiday? This area has something to offer for the entire family including shopping, site seeing, hiking, Aquariums, fine dining, museums, theaters, ice-skating, log cabin lodging, & so much more. Your entire family will want to make your Thanksgiving vacation a family tradition. Celebrate Thanksgiving in the beauty of the Gatlinburg & Pigeon Forge areas. Surround yourself in the beauty and old fashioned feel of the area. You can enjoy the majestic Great Smoky Mountains or check out Dollywood during you stay. A wide range of other activities await including music shows, museums, tours, recreational activities, and amusement parks. Tasty treats and delicious food finds can be found throughout this festive day. Heat the oven to 375 degrees. In a large bowl, mix the sweet potatoes, sugar, margarine, milk, eggs, and vanilla extract until well combined. Transfer the mixture into a 2 1/2-quart baking dish. 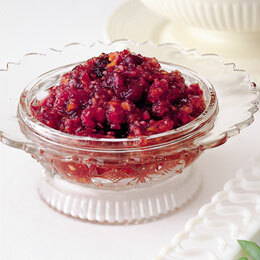 In a separate bowl, combine the topping ingredients with a pastry cutter or your fingertips until crumbly. Distribute the topping over the sweet potatoes. Then bake the casserole for 20 minutes or until lightly browned. Serves 6 to 8. Heat oven to 375 degrees. Place the pastry in a 9-inch deep-dish pie pan and crimp the edges. In a large mixing bowl, combine the sugar, flour, cinnamon, and salt. Next, toss the apples with the sugar mixture and pour them into the prepared piecrust. With a pastry blender, thoroughly combine the crumb topping ingredients. Sprinkle the topping over the apple mixture. Bake the pie for 20 to 30 minutes, then cover with foil and bake for another 20 minutes, until the apples are tender. 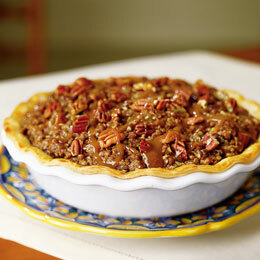 Remove the pie from the oven and sprinkle on the pecans, then drizzle with the butterscotch caramel sauce. 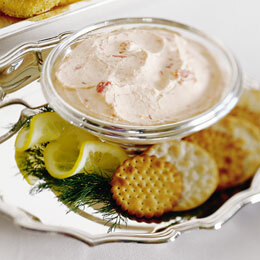 Cool on a wire rack and serve with ice cream. Makes one 9-inch pie. In a skillet, melt the butter over low heat. Add the shallots and carrot. Cover and cook 5 minutes, stirring once. Rinse the salmon steak, cut it in half lengthwise, and place the pieces atop the vegetables. Drizzle with the chicken stock. Cover the skillet and resume cooking for 10 minutes or until the fish flakes easily. Then remove the skin and bones from the fish. Heat the oven to 350 degrees. Cook the bacon, then chop it into bite-size pieces and set it aside. Melt the butter in a large pot over medium heat. Sauté the onion, celery, and peppers until soft. Stir in the flour, then the sour cream, until well combined. Add the corn and most of the bacon bits and season with salt and pepper. 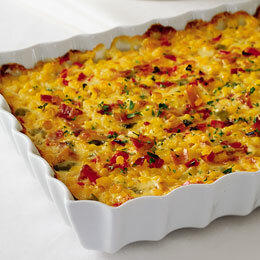 Pour the mixture into a 9- by 13-inch baking dish and sprinkle on the remaining bacon bits and the parsley. Bake for 30 to 45 minutes, until lightly browned. 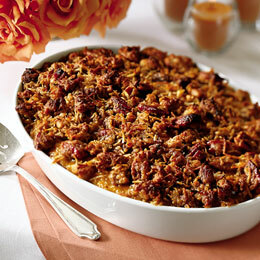 (Note: for a lower-fat version of this casserole, use half the bacon, butter, and flour). Serves 6 to 8.